Oh well, you know what? Good riddance! I have a serious repellent reflex towards Catalans. This is largely because I love Spain so much, and their anti-Spanishness really gets my goat. I find their Gallic delusions that they’re so much more European and Mediterranean and civilized than the rest of Spain to be insufferable. (And some day I’ll get around to dismantling the cult of “Mediterranean-ness” itself that’s grown since the 1980s and that I find a completely false and fabricated pop-multi-culti identity that grew out of tourist literature, the public relations campaigns of olive oil companies and a popular sprinkling of Braudel, and nothing else. When even Turks start acting and feeling like they’re “Mediterraneans,” you know that a discourse is b.s. and needs to be taken apart; the extremeness of the hype surrounding Barcelona is part of this, and is why I love the gravitas and even crudeness of Madrid and Castille so much more deeply.) 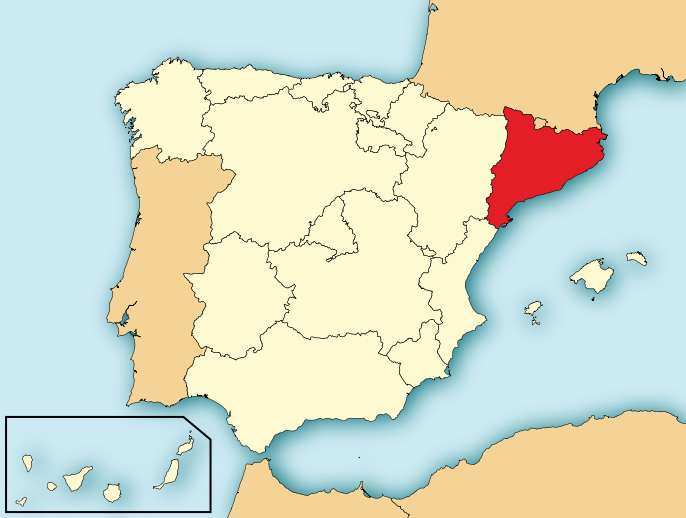 I find Catalans’ ‘noli me tangere’ squeamishness about how they shouldn’t have to suffer by being a part of this barbaric country of monarcho-fascists and Catholics and gypsies and bull-torturers to be racist pure and simple. They’re Iberian Croatians, in short. There are plenty out there who will get the analogy, I believe. That’s essentially what it comes down to…because I think I should finally get serious about this issue and not just joke around or make bitchy remarks about Nadal’s hair. All of us on the periphery, and yes you can include Spain, struggle to define ourselves and maintain an identity against the enormous centripetal power of the center. So when one of us — Catalans, Croatians, Neo-Greeks — latches onto something — usually some totally imaginary construct — that they think puts them a notch above their neighbors on the periphery and will get them a privileged relationship to the center, I find it pandering and irritating and in many cases, “racist pure and simple.” It’s a kind of Uncle-Tom-ism that damages the rest of us: damages our chances to define ourselves independent of the center, and damages a healthy, balanced understanding of our self culturally and historically and ideologically and spiritually. I find it sickening. Spain — in part because it’s felt it had to compensate for the darker elements of its past — has transformed itself in just a few decades, and in a way I find extremely moving and mature, into perhaps one of the most progressive countries in Europe on a whole range of moral and social issues and especially in being open to regional autonomy and regional, cultural rights. There is no way you can’t be happily and solidly Catalan, and maintain your culture and language to the fullest degree, within the Spanish state. Objections are nonsense. But they had already lost me when they banned bullfighting. And I’m just sick to death, generally — in a globalizing world — of childish, whiny separatist movements among every two-bit tribe that thinks it’s special. A waste of time, energy, often a cause for completely unnecessary violence and deafeningly narcissistic.